From the moment KA started dropping hints about this book I knew it was going to be amazing. Aria Jones is getting a new life at a new school in a new province alongside her recently divorced mother. The relationship between the pair is strained, but the full breadth of the rift is unknown to us in the beginning of the book. When they get to their new house, The Jones family is immediately greeted by the Hartfords—their new neighbors. Cassie Hartford is a gem. She’s kind and generous, charismatic as all get out, and she has autism. Kids can be assholes, and no one knows that better than Aria. The two girls befriend each other quickly, and that friendship includes a protective big brother named Emmett. As quickly as Aria becomes friends with Cassie, she also becomes quite smitten with Emmet. Unfortunately, Emmett is dating the perfect, beautiful, popular girl at school. And we all know how that story usually goes. Holly is a mean girl hiding behind a pretty face, and Aria just so happens to have proof. Hard decisions are to be made by all the teenagers in this book, and some of them are going to blow up right in their faces. 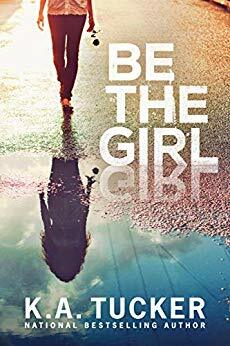 Aria is tangled up in the same drama she had just run away from, and it’s time for her to decide exactly what kind of girl she really wants to be. Kids can be assholes. That’s just the truth. Whether high school was a walk in the park, or the worst four years of your life, I’m sure you can think back to that time and remember at least one person who was nasty to another for what appeared to be no reason whatsoever. What a lot of kids at that age have a hard time understanding is that there is a lot that goes on behind the scenes and at home that they never see. And inversely, sometimes kids are just mean. I love that I’m reading this book at this point in my life, but I so desperately wish that this book had been around when I was in school. It was the beginning of the social media craze, and a lot of people could have learned some hard lessons from the words inside these pages. It is so hard to protect your kids from bullies in an age where the bully can create an endless string of profiles to hide behind. I have no children of my own, but I do have a nine-year-old brother that will be in this age group in a few short years. When I finished this book I immediately started to reach out to any and all friends I had that teach high school students. I urged them to read this and consider incorporating it in class—or just suggesting it to their students. This it one of those books that’s going to make a real difference. I’m so excited for you guys to read it. Thank you, KA Tucker, for the ARC. It was a beautiful story.